How To Backup Mac Boot Camp Hard Drive Partition? Having a new shiny Mac comes with one startup drive named “Mac HD.” Although this kind of arrangement is fine but it’s not the only option as the disk can also be split up. This reorganizing of internal or external disk into one or more volumes called partitions. Another option comes if you want to make Windows handy with your Mac every time. This involves creating a non-destructive disk partitioning of the hard disk drive with an installation of Windows device drivers known as creation of Boot Camp partition. The process enables the user to have a Windows environment under OS X. It is a great feature as it temporarily turns your Mac into a Windows PC. Keeping Windows version on Mac is good but time comes when you want to restore your Boot Camp partition to another Mac or to a new hard drive. In this case, the first thing that should come in your mind is doing a back-up to your Windows partition in the same way as you back up your OS X data. To solve this nagging issue, there are many methods for a user to back-up their Mac Boot Camp hard drive partition, such as the in-built utility named Time Machine and other stand-out Mac cloning utilities. These software’s are capable to make clones of your Boot Camp partition to migrate or restore your Windows install. Under the following sections, I will be suggesting you two software that will perform backup and restoration of a Mac Boot Camp partition. 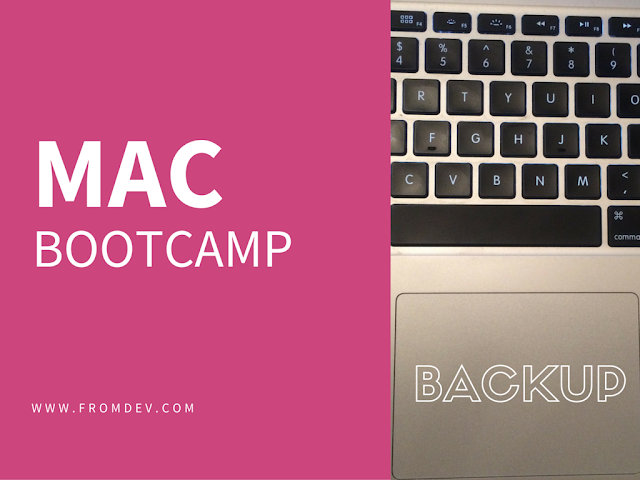 This utility creates a disk image of your Mac’s Boot Camp partition in order to create its back up. It also has an option to restore the partition from a backup, or transfer it to another Mac. Just select the boot camp partition in Winclone’s Sources list. Click the Save Image icon in the Destinations pane and click the Save Image. Use Windows’s SysPrep utility before making a clone. By this the software creates an OS X disk image containing a clone of your Boot Camp partition. Select the image in Winclone’s Sources list. Choose your Boot Camp partition in the Destinations pane. Place the source Mac in Target Disk Mode. Connect it to the Destination Mac. Enable the Share WinClone Images on Network option. Run WinClone on the source and destination machines. Note: You must have a Boot Camp partition on the destination Mac for this procedure. This is a Hard Drive Cloning utility that creates clone or image of the Mac hard drive, and a back-up of files/folders. The cloned hard drive can be used as an exact copy of the hard drive and the image file can be used to restore data. An additional option is provided that the software supports cloning of encrypted volumes. Click the Clone tab and select Disk Clone option. Select the source drive and destination drive. Click Continue to start cloning process. Select the source drive and click Choose Destination. Specify the name for the image file and click Save. Click Continue to start imaging process. Select the source drive from Choose Source Button and click Select Destination to choose destination for the restored volume. Click Continue to start restore process. Select the source drive, then click Backup button. Now select destination for backup data from Open Directory dialog box. Click Choose to select the destination and start backup process. Now, as soon as the process will be completed, the data will back up to the destination. In the end I would like to say that these software’s are essential as the user is eliminated from the need to keep two different hard drives for two types of backup. The feature of scheduled incremental backups is an added benefit that provides a speedy recovery from data loss even in the worst case.